I’ve had the privilege over the years of visiting many classrooms to speak with students around the city. Whether I’m talking to grade-school kids or graduate students, I always look forward to the challenge, and I do my best to make sure the students get something out of it. When I left my house Thursday morning to meet a buddy downtown for a casual lunch, I had no idea I’d find myself later that afternoon addressing students in a classroom at Northwestern University School of Law. I certainly wasn’t dressed for success, sporting blue jeans, a red and black lumberjack flannel shirt, and a grey hooded sweatshirt. I did, however, smartly accessorize that look with both the heavy-duty, black plastic knee brace I’ve been wearing since February (when my kneecap was surgically reattached to my shinbone) and the acoustic guitar in a black nylon travel case that I’d slung over my right shoulder. All in all, I looked, on that particular day, like the kind of guy who might get tossed out of a law school for trespassing. My plan was to grab a sandwich with my friend and then wander over to the Magnificent Mile to spend part of a beautiful spring afternoon busking on a North Michigan Avenue street corner. I’ve always found it a blast to work as a street musician. You plant your musical flag on a city sidewalk and let the chips fall where they may. She understood. You need to be comfortable engaging absolute strangers who may not look like you, live like you, or view the world like you. In any event, after lunch I decided to plant my musical flag near the corner of Michigan and Erie, near the Salvatore Ferragamo boutique. Forty-five minutes into my set, while playing Rodney Crowell’s “Leaving Louisiana in the Broad Daylight,” I noticed three guys sizing me up from about ten feet away. They looked harmless. One was even nodding his head in time to the music. They kept their distance until I finished my next song, Johnny Cash’s “Get Rhythm,” at which point they approached me. The group’s spokesman introduced himself as Sergei. He had a thick Russian accent, but spoke English fluently. He told me he enjoyed my singing and playing and wondered whether I would be interested in performing at a nearby event in an hour. We talked for a few minutes and I learned that the event in question was at Northwestern’s law school, where Sergei and his friends were students. He told me that as part of a year-end assignment, he was supposed to venture out into the city and negotiate a deal to bring someone — a bartender, an alderman, a circus clown — to the school to speak to, or perform for, his class. Sergei never talked down to me. He was a gentleman. He also had no idea that I was a trial lawyer, albeit a currently unemployed one. Sergei and I hammered out our little deal in about two minutes. In exchange for a nominal sum, I’d hobble over to his school in an hour to perform a couple of tunes for his classmates. Sergei didn’t realize that I was heading to his law school not for the pittance we’d just “negotiated,” but for a chance to talk briefly to some soon-to-be lawyers. I then spent another 45 minutes regaling the Michigan Avenue crowd with three-minute ditties about broken hearts, fast cars, and life in prison. Once I got to the law school, Sergei helped me with my gear and asked me to wait outside the classroom for a few minutes until it was time for me to play. When it came time for him to bring me in, he introduced me to his roughly three dozen classmates with gracious words. 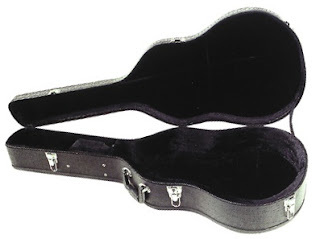 Before strumming my first chord, I asked the students how many of them wanted to try cases. A few hands went up. I then played a song. After that, I believe I surprised the class — though perhaps not the teacher, whom I actually knew — by stepping out of my role as a limping, middle-aged street musician. I told them that I began with a question about trying cases because young lawyers need to know that it’s important not to lock yourself into preconceived notions about people when you pick a jury. The same rule applies when you’re sitting across the table from a relative stranger during a negotiation. I explained that when Sergei negotiated his deal with me, he had no idea that I was an attorney, much less one who had negotiated (on the defense side) many multi-million dollar settlements. And why should he have known that? I certainly didn’t expect him to notice during our brief exchange on Michigan Avenue that the lanyard I was wearing — the one that holds my City of Chicago street musician license — was a National Institute of Trial Advocacy faculty lanyard. I then told the class that I left my job in late January, immediately blew out my knee, and was now on the mend and back in the job market. I spoke for a few more minutes, but my main point to the students was simple. When you get out into the legal world, treat people with decency, just as Sergei did. And remember to keep an open mind in your dealings with others. Things aren’t always what they seem. I then played one more song before heading home to put ice on my left knee.